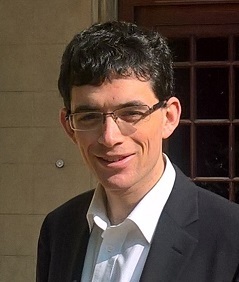 Dr Robbie Duschinsky is Head of the Applied Social Science Group within the Primary Care Unit, Director of Studies in Sociology at Sidney Sussex College and a member of the Steering Committee of the PublicHealth@Cambridge Strategic Network. His two major research interests are the development and contexts of mental illness, and the use of qualitative methods within primary care research. He has also published widely in the sociology of childhood and the family. Robbie is a member of the Wellcome Trust Expert Review Group for Medical Humanities. He holds a visiting position in the Department of Psychology at Stockholm University. 3) an Alborada-Caprex grant (with Eric Awich Ochen) for study of adolescent wellbeing, resilience and social integration in rural Uganda. Among other projects, Robbie is also leading the qualitative component of an NIHR-funded trial of a behavioural weight management programme for the prevention and treatment of type 2 diabetes (PI, Amy Ahern). Before joining Cambridge as University Lecturer in 2015, Robbie was Research Lead and a Reader in the Department of Social Work & Communities, Northumbria University. Robbie’s research interests include the assessment of child maltreatment and neglect; the context of common mental illnesses such as anxiety and depression in the lives of patients, and their treatment within primary care; and difficulties faced by clinicians in classification and the diagnostic process. With colleagues, he has edited six books and journal special issues, and he is co-author of a book on social work practice. His work has been published in a variety of journals, including articles in Sociology; the Lancet; Clinical Child Psychology & Psychiatry; Journal of Social Policy; Nursing Inquiry; and Philosophy. Robbie is a member of the Editorial Board of the Journal of Gender Studies. Robbie is the convener for the MVST 1A paper Social Context of Health and Illness for first-year medical studies. The paper aims to engage students’ curiosity regarding the role of social factors within the course of disease and treatment, and to introduce ethical and legal questions that arise for the medical profession. Robbie also contributes teaching within the School of the Humanities and Social Sciences. Robbie has supervised to completion four doctoral projects and nine MA/MPhil dissertations. He would welcome enquiries from prospective Doctoral and MPhil students for projects drawing on social science approaches for the study of mental health, especially within primary care. He also welcomes students interested in attachment theory and research.